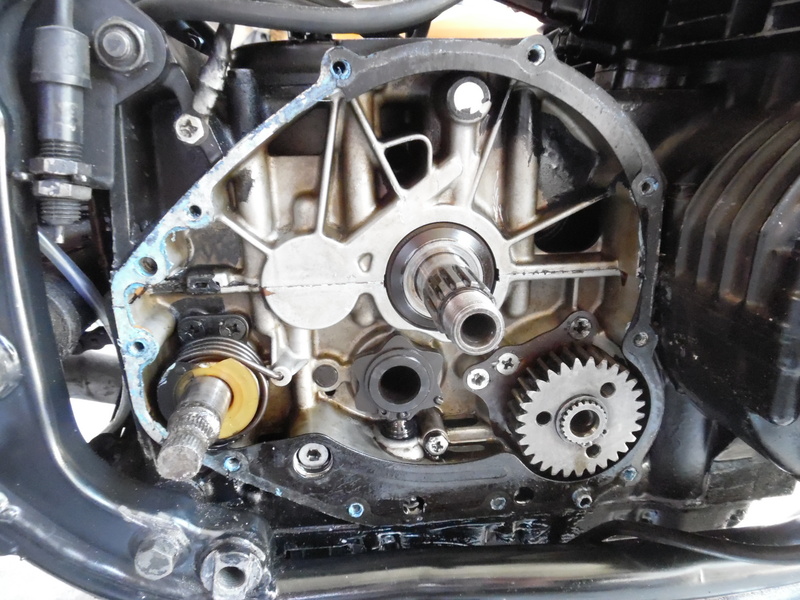 Like all motorcycles with electric start the z650 has a starter clutch and like all things mechanical, its prone to failure. 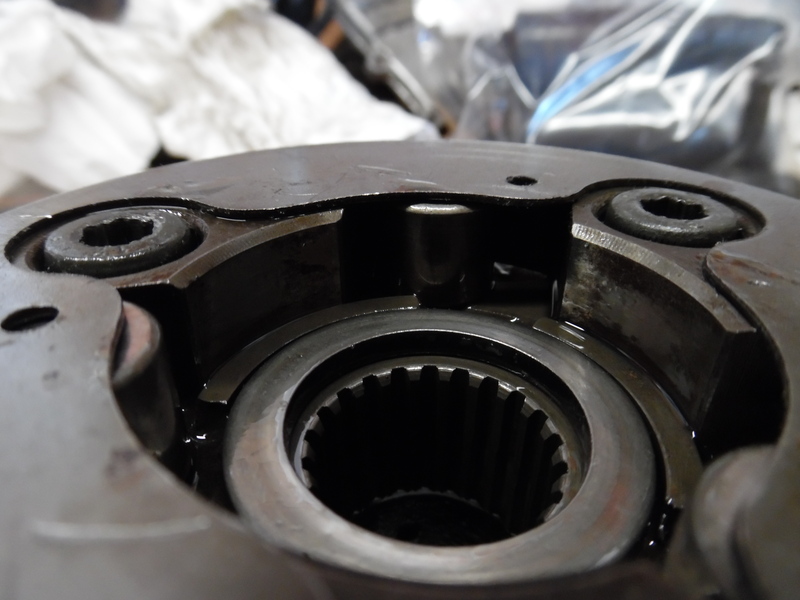 The most common failures range from broken springs and damaged rollers to cracked assemblies. 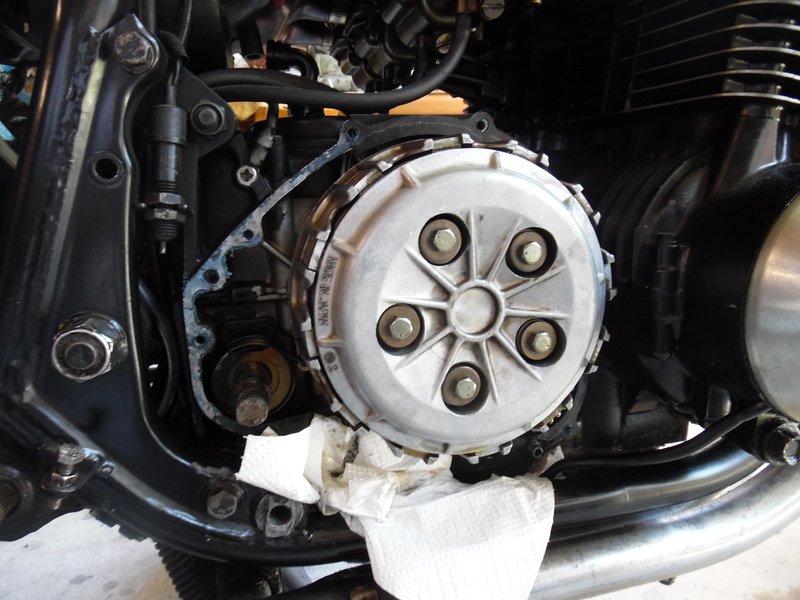 And in a similar vein to the Gpz900R starter clutch its right in the middle of the engine! 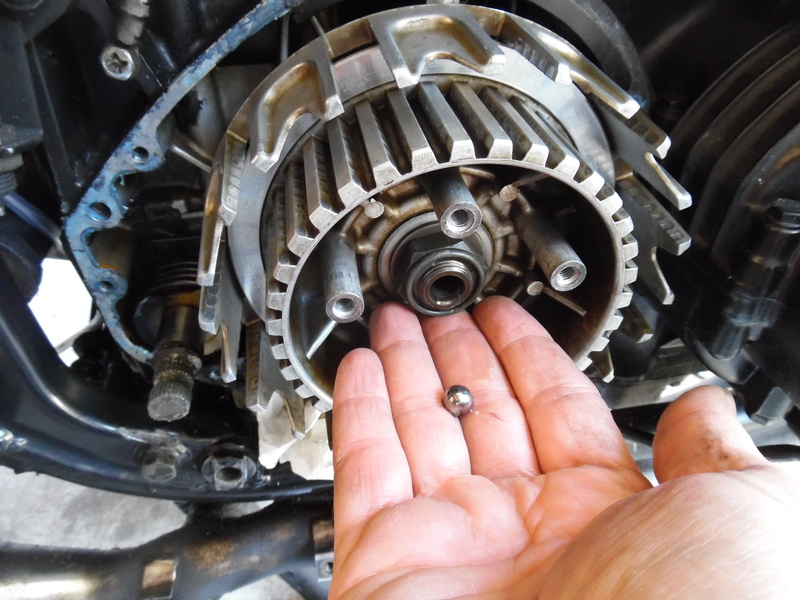 Unlike the GPz900R which I documented here, the z650 starter clutch is relatively easy to remove even with the engine in frame. 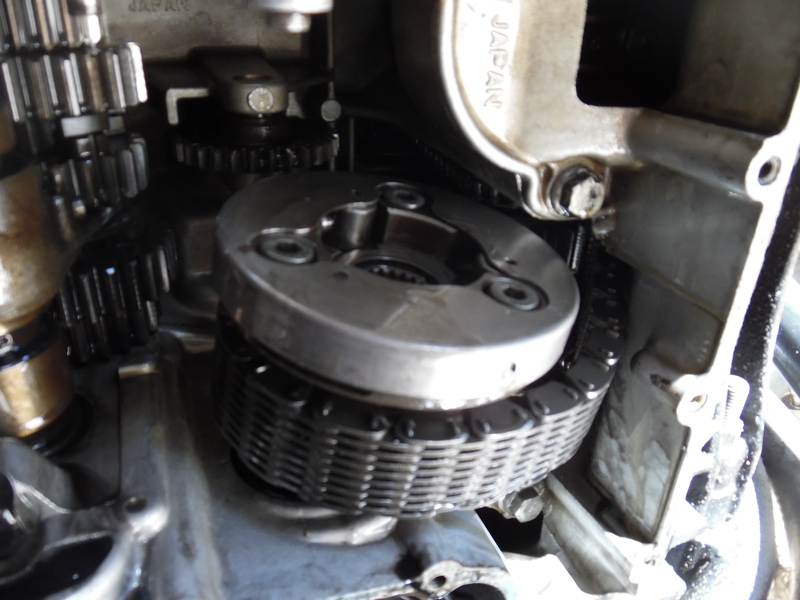 I’ve found that you only need to remove the clutch cover and sump to gain access and remove the starter clutch, in the process you will need to have on hand some gaskets and possibly some replacement countersunk screws if the process has been done before by a less skilled person. I forgot to take a picture of the bike laying on its side but this assembly picture gives you the basic idea. 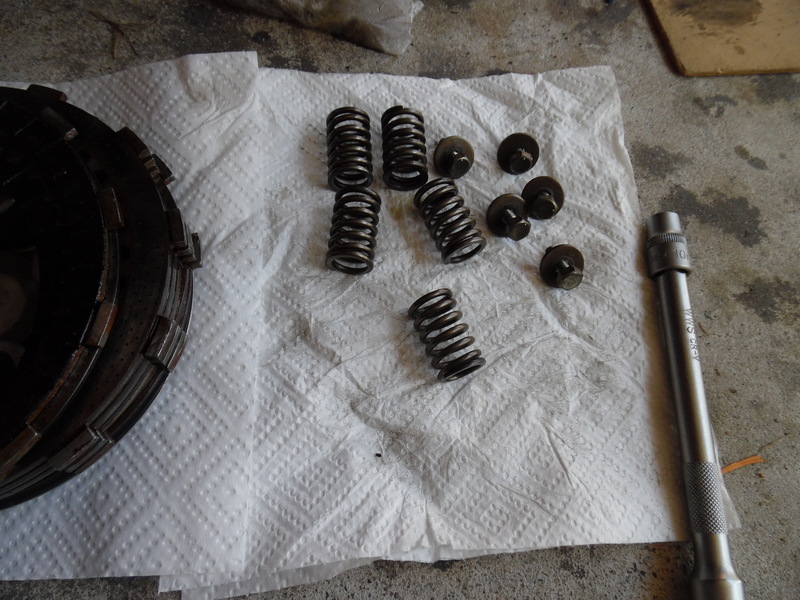 Starter Clutch Repair Kit (as a minimum, 3 springs as the pins and rollers are usually OK). 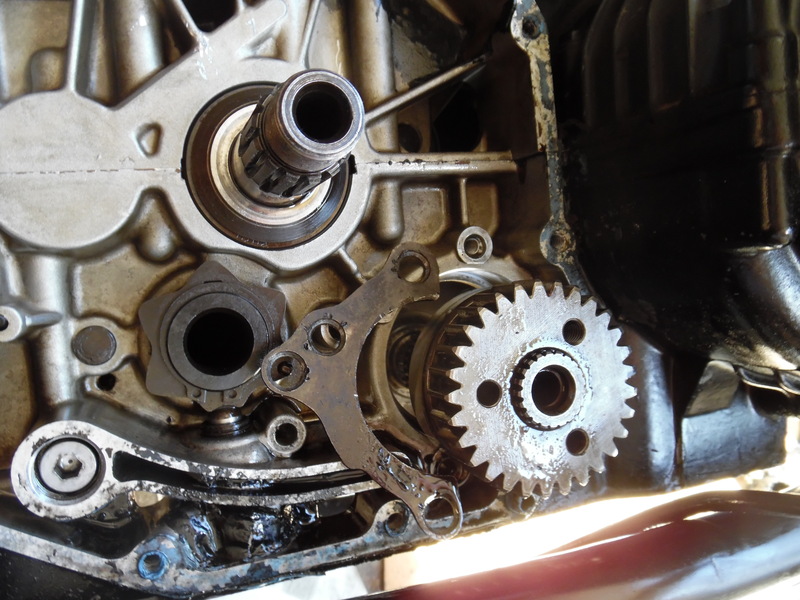 The process is pretty straight forward, I drained the sump and removed the oil filter, took out the battery and removed the tank and side covers. 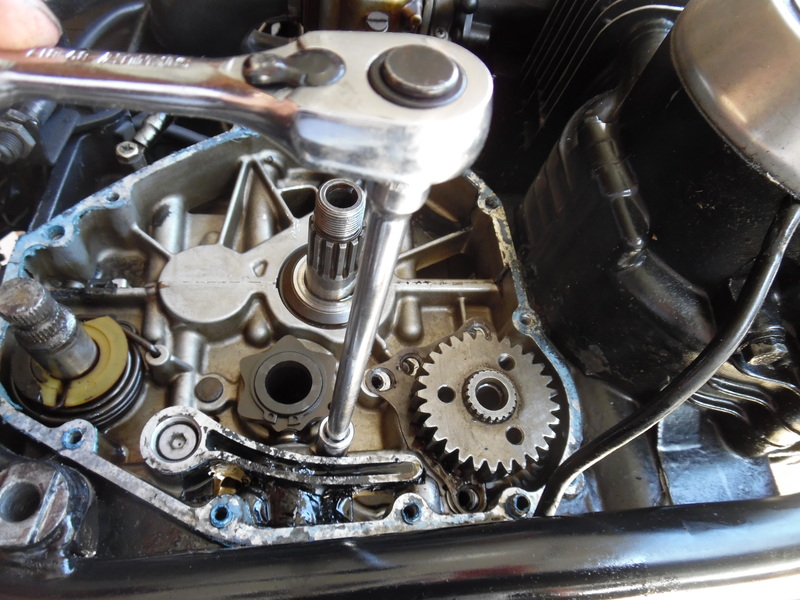 We need to do this so we can safely tip over the bike (engine and all) to access the sump easier. 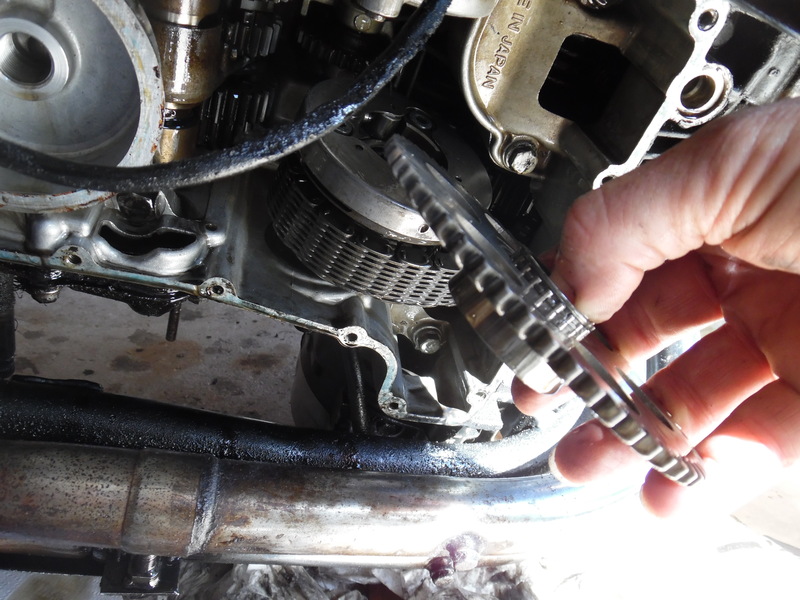 As a bonus, you can do a filter and oil change aftrwards if you need too, otherwise tipping over the bike to its side means the oil drops down one side and not out the sump. 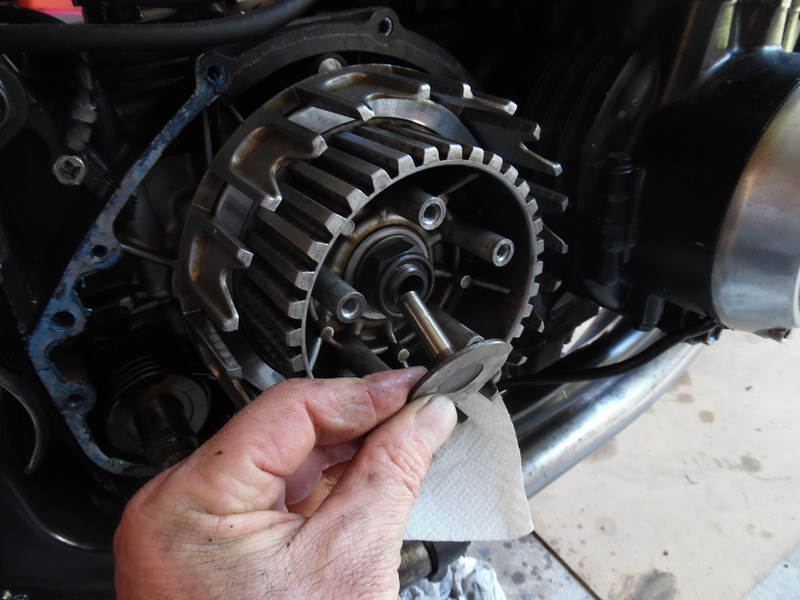 First remove the foot brake, and right hand foot peg, this makes it easier to get the clutch cover off. Remove the kick starter if you still have one. Remove the cover set screws, there are 2 long ones at 80mm and the rest are 30mm in length. You should now see the clutch basket, while we have access to it, check it for play. 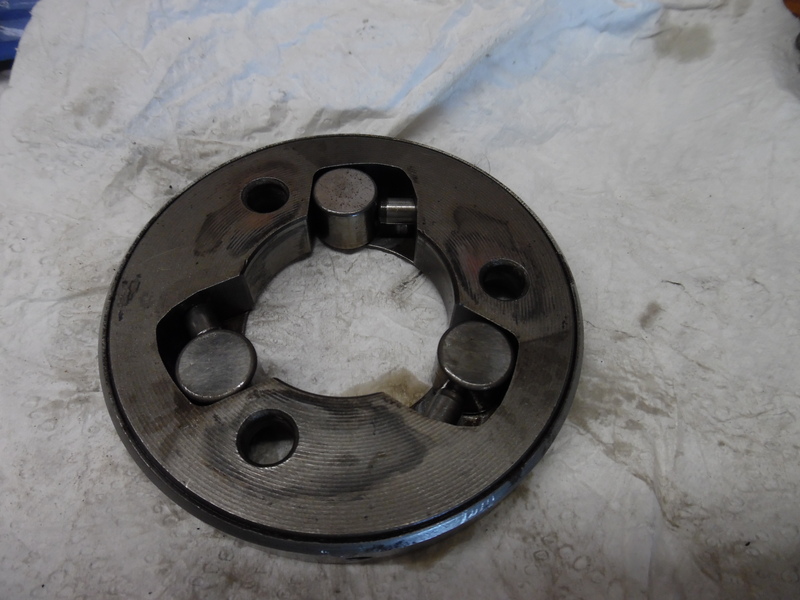 After the plates are removed, pull out the Spring Plate Pusher, that’s what the push rod pushes against, behind it is a ball bearing which needs to come out. 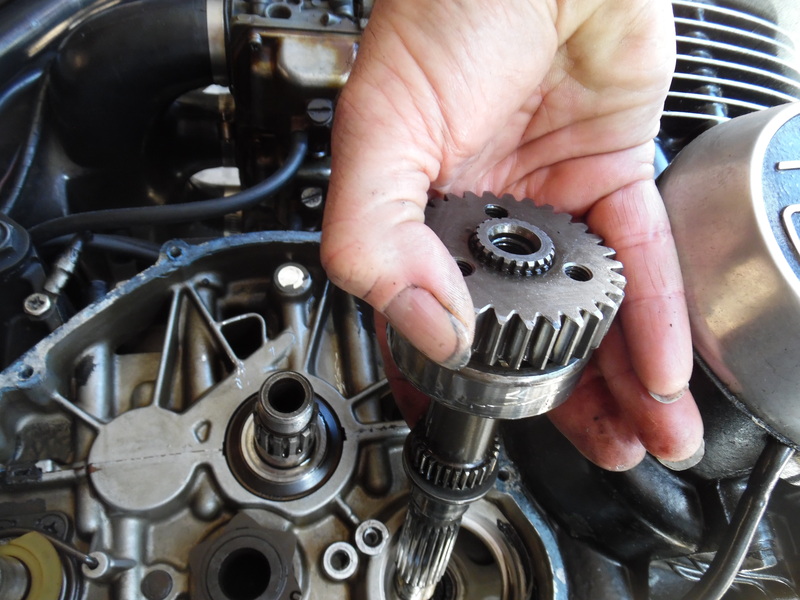 An easy way to get the ball bearing out is either use a magnetic screw driver or just gently push on the clutch rod from the other side, that implies removing the cover or quickly snapping the clutch in and out. 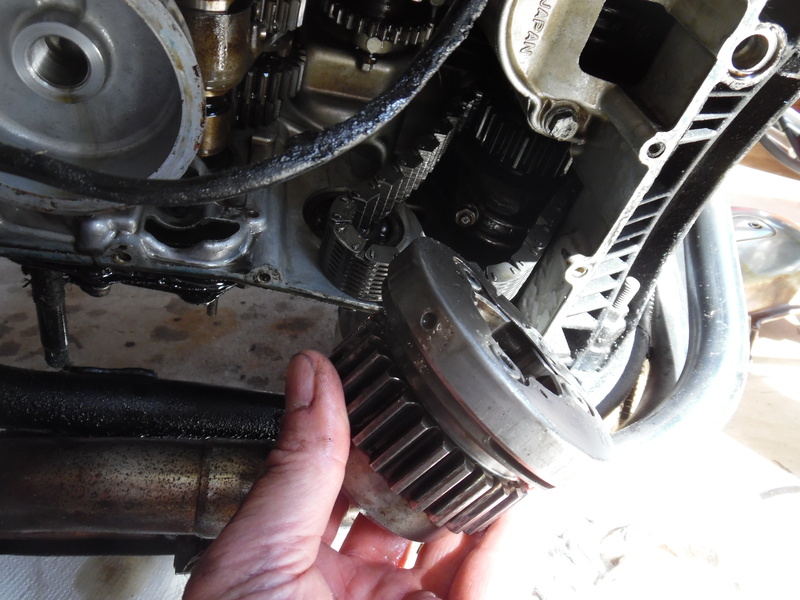 To remove the clutch housing, I used an air impact driver and socket, it took about 20-30 seconds for it to spin loose. After removing the Clutch Housing, I spotted bits of crap, most likely from the cush drive rubbers sealed inside, as the plates look fine. 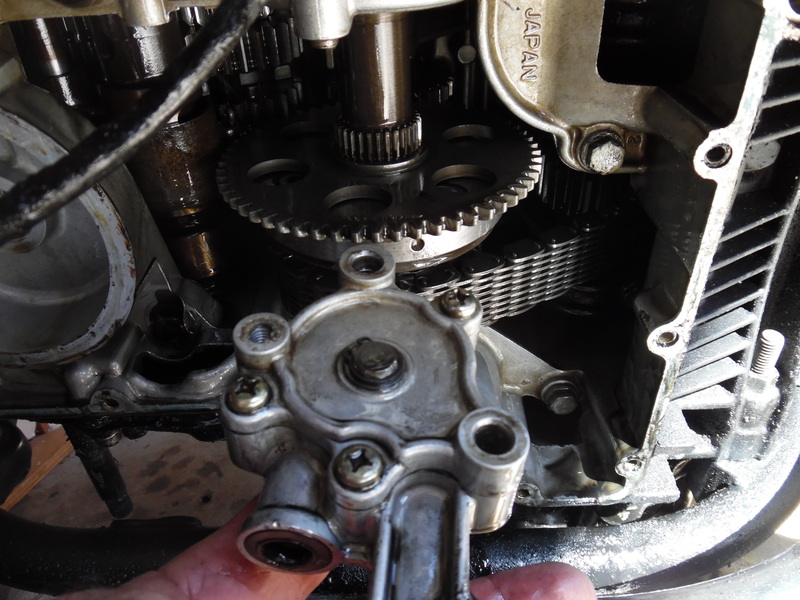 Once you remove the Clutch Housing you should be able to gain access to the oil pump screws, two of which double as bearing retainer screws. To remove these use an impact driver with the correct sized bit, these ones will need replacing as the heads are damaged. 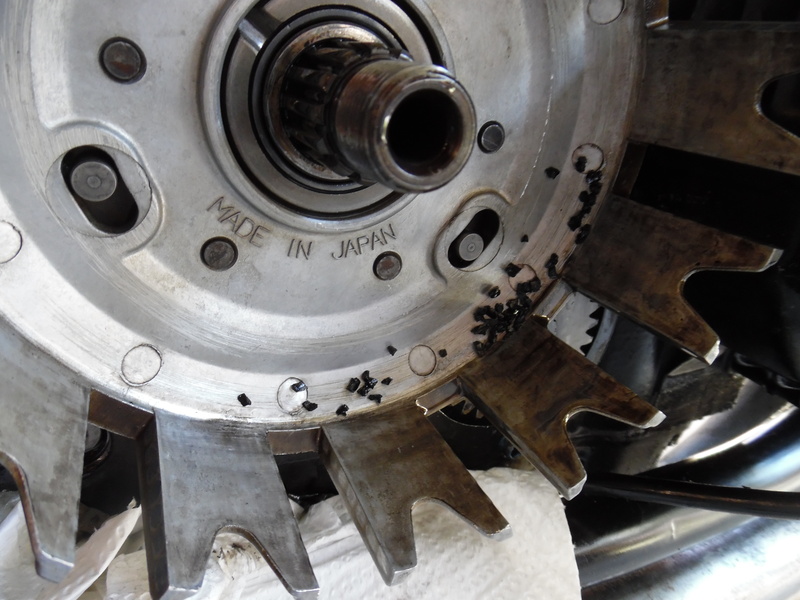 There is also one under the gasket at the base of the Secondary Shaft Gear. 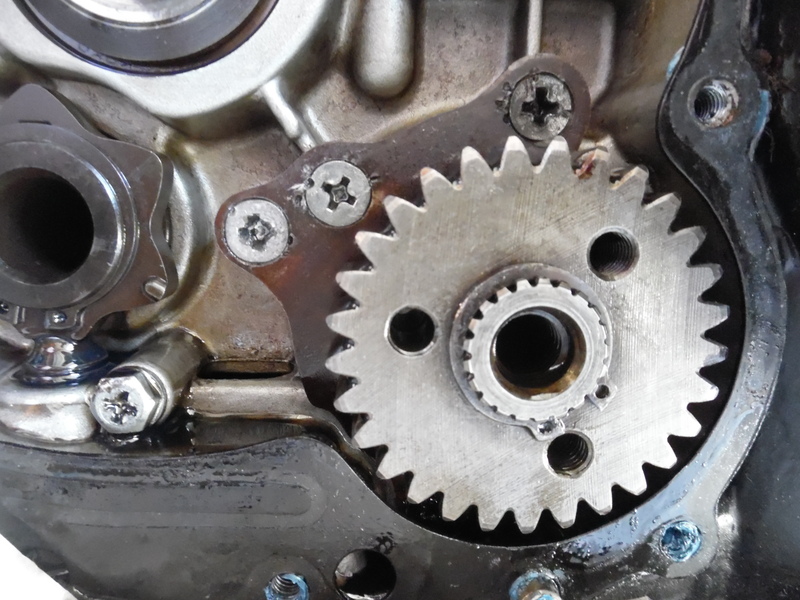 First remove the Starter Clutch Gear: Now you can see the starter clutch clearly, unlink it from the Hi-Vo chain And remove it as a unit. 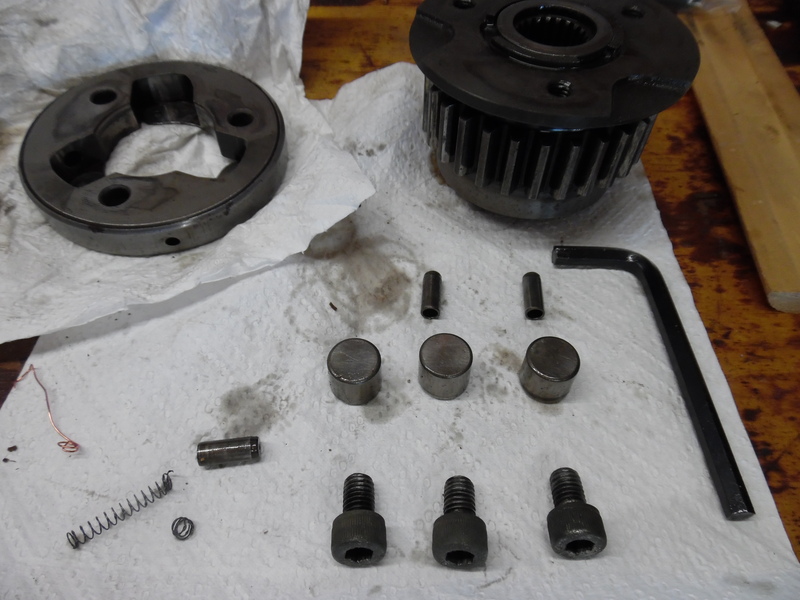 This is the issue, the spring that pushes against the roller (via a pin) is broken, so the roller won’t engage the Starter Gear shaft. After assembling the new spings into the pins (they are hollow) and pushing it all together gives us the finished unit ready to bolt back. 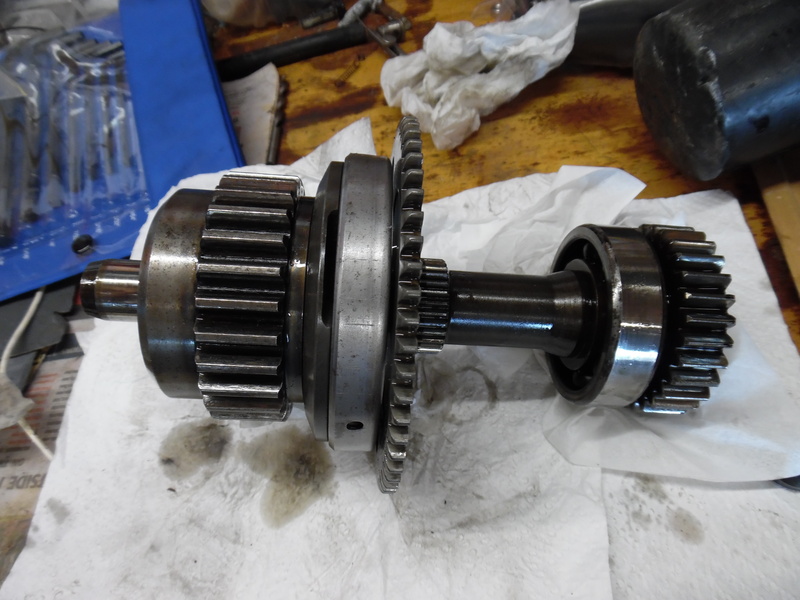 The gear assemble on the bench for checking, no cracks or damage. Not bad for a 41 years old bike! And as they say in most manuals… assemble in the reverse order.